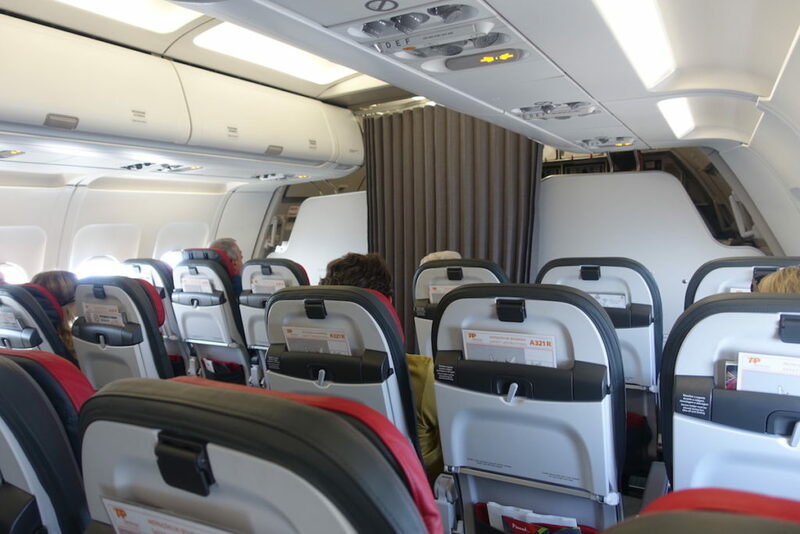 If you’re one of the people who was able to take advantage of the killer Hong Kong Airlines deals last week, you might be wondering where to credit the miles. We’re going to get this one out of the way quickly, because it’s not practical for most of us. 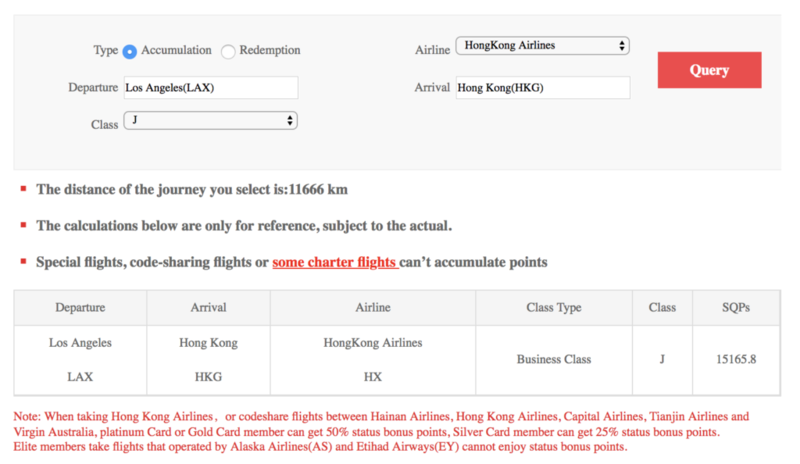 Virgin Australia is a partner of Hong Kong Airlines, however — and it’s a critical exception — you cannot earn Velocity points on HX flights to or from North America. That means you can credit the shorter segments between Hong Kong and your final destination to Velocity, but that’s only going to be ~3,000 miles in most cases. Now, Virgin Australia does allow family pooling, so if you are taking a family on this trip you could combine all the points into a single account, but that’s still only going to be about enough for a domestic economy flight in Australia. Alternatively, you can transfer Velocity points to Singapore KrisFlyer miles at a 1.35:1 ratio, so that’s an option as well. If you already have some orphaned Velocity points, or if you’re in a market where you can easily accrue Velocity points otherwise, this might make sense for you, but otherwise I don’t think it’s worth it. To avoid confusion, if you do decide to credit a portion of your miles to Velocity, I would refrain from listing any frequent flyer program on your reservation during travel, and just submit the boarding passes to the relevant programs afterwards. So, you’re going to need a Fortune Wings Club account. While it shouldn’t matter in theory which airline you sign up with, I’m going to suggest everyone sign up through the Hainan Airlines site. They’re the main airline in the program, and are (possibly) going to give you 500 Fortune Wings points just for signing up. And this is a case where that handful of points can make a difference later on, so it’s worth a shot. Seriously, if you’re reading this and have a Hong Kong Airlines ticket, just sign yourself and your travel companions up for accounts now so you don’t forget. I’ll wait here while you do. How many miles will I earn for these Hong Kong Airlines flights? The first thing you need to know about points accrual with Fortune Club is that all values are in kilometers, not miles. I was pretty happy with the potential redemption rates in a “we’re going to SE Asia for ~$600 in lie-flat business class, so I think we can make the best of it” kind of way, but this is all way more fun in kilometers. All the fares I saw were booking into J, which means you’ll earn 130% of the flown distance. So for my itinerary, with flights from Los Angeles to Hong Kong and then Ho Chi Minh City (and back), that’s ~26,000km. With the bonus for flying J class, we’ll each earn ~34,000 Fortune Club points. Given that the alternative is earning zero points, I’ll take it! Great, what do Fortune Club points get me? This seems like a good time to remind everyone that we’re going to SE Asia for ~$600 in lie-flat business class. Actually, Fortune Club doesn’t look as bad as I was expecting. Granted, I haven’t dealt with them at all yet, and my expectations were extremely low, but on paper the numbers look decentish. So let’s dig into which of these might be worth pursuing. Let’s just get this one out of the way. You’re probably not going to use Fortune Club miles on TAP, because the fuel surcharges are ludicrous. For domestic/economy flights in Portugal, roughly 70% of the fare is taxes and surcharges, so you’re not really saving much there. Business class flights at a short enough distance to be interesting enough for Fortune Club redemptions are in a similar situation, so…meh. This is a great mental exercise, as thanks to years of Avios bookings I have the flight distance between most Alaska-serviced cities roughly memorized. Not in kilometers. So I’ve had to look every route up to check my math. Seattle > Los Angeles is, annoyingly, 1535km, if anyone was wondering, and Portland > San Diego is even worse, at 1501km. But there are other city pairs up and down the coast that fit nicely into the Fortune Club bands. I will happily use my future Fortune Club points for flights between Seattle and Spokane at 5,000 points for each economy flight! Those aren’t always cheap (and would require 7,500 Avios), and last-minute award availability is usually great, so this will be perfect for getting my niece home from college and for other positioning flights. You’ll need to call Fortunate Club to book at 312-374-3700 (between 8AM and 8PM U.S. Central time). Redemptions must be made at least 24 hours prior to departure. The taxes and fees should be minimal. 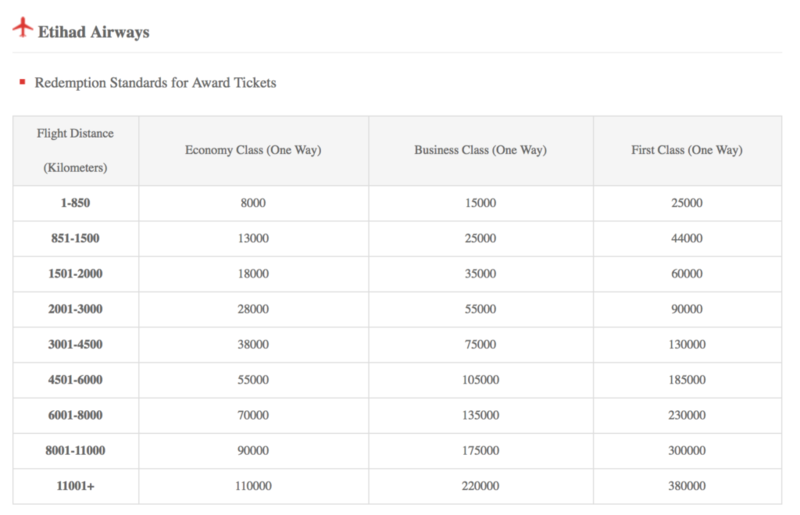 I’m pretty sure Fortune Club passes on fuel surcharges on Etihad award tickets, which means even on regional flights you’ll likely pay at least a few hundred dollars should you choose to redeem on Etihad. I know, there’s not a lot there. But having nearly enough points for a business class ticket between Abu Dhabi and Baku for a ticket you bought because it was a steal is hardly a bad deal. The greater limitation here is that you must call the Fortune Wings Club hotline at least 14 days before your reservation for an Etihad Airways award ticket which is just not at all compatible with my life. Still, it’s an option. And we’ll talk about how to top off your account below. If you want to use your Fortune Club miles on Virgin Australia, you’ll need to call a comparatively reasonable 24 hours before departure, at a minimum. 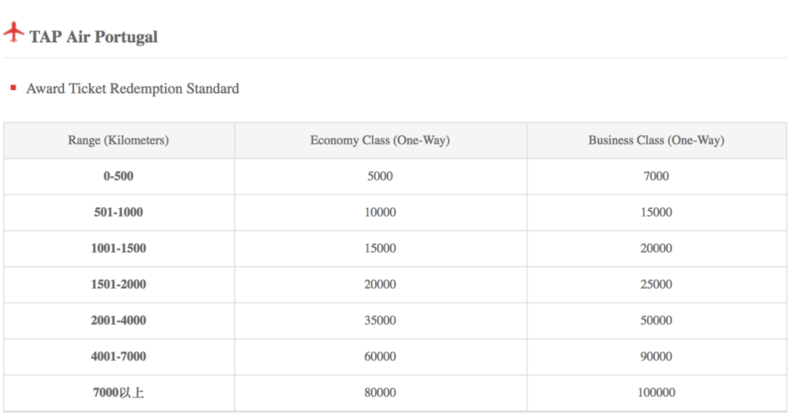 The chart is again distance-based, and you’ll have enough points for up to a 2,000km flight in business class (or several shorter economy flights). So you’d pay 25,000 Fortune Club points, along with ~$84USD (at least) for that business class flight. You’d pay 15,000 Avios for that same ticket, in comparison. So I’m not going to go through all of these, because they’re only specifically applicable, but you can find all the award charts here. If you’ll be spending more time in Asia this year, some of those short-haul redemptions could be compelling. Or, if you really wanted (say, if you’re positioning to Hong Kong to pick up a five-shower Emirates award through JAL), you could transfer in some more points for a longer flight. Given that you’ll have more than half the miles needed, it’s not a terrible value, and fees shouldn’t be too bad. I’d forgotten about this, because it’s typically not a good value, but reader Jay reminded me that you can actually exchange Fortune Club points for other program points through points.com. Using Ben’s current valuation of miles, the best deal there is probably Aeroplan. But even ~$110 worth of JetBlue points is better than nothing, particularly for those who just don’t want to deal with Fortune Club. What if I don’t have quite enough Fortune Club points for the award I want? Fortunately, Marriott is here to help! 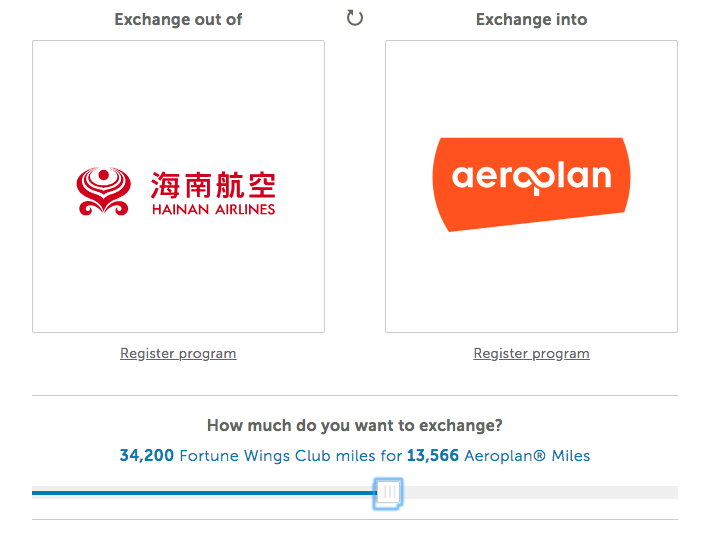 Hainan Airlines is a transfer partner of the new Marriott program, with a published 3:1 transfer ratio, and a bonus of 15k Marriott points (which are instantly converted to Fortune Club points) when you transfer 60,000 Marriott points. That being said, given that Hainan works in kilometers, I don’t know how this works in practice. If you’re actually trading 3 Marriott points for 1 Fortune Club point, that’s a very poor value compared to the other transfer partners. So, if you go this route, I’d only transfer the bare minimum of points for the award you want. Ideally everyone will get the 500 points for enrolling, which will reduce the number of Marriott points they might need to transfer by 1500. Full disclosure: I have no idea if this will even work, but the thought that it’s even a possibility makes me giggle, so I figure it’s worth sharing. The terms seem pretty simple. Within 100 days of starting the challenge, you have to earn 15,000 Status Qualifying Points to become a Gold member. You’ll meet that with just your outbound flight from Los Angeles to Hong Kong, so that part is easy enough. Surprisingly, flights on Alaska and Virgin Australia will also earn Status Qualifying Points that can be applied to this challenge, though I’m not sure I’d recommend it. I suspect finding one of those won’t be too hard for most OMAAT readers. I have no idea how quickly these are processed, or if the challenge will continue, but the language in the terms suggests that some form of this is offered every year. If you’re flying in 2018, I’d go ahead and submit for the challenge, and put your start date close to the travel date. If you’re flying in 2019, I suspect that you’ll have to wait for the 2019 challenge to be announced, though you could always try submitting at the end of the year and putting your challenge start date in 2019 and see what happens. Um, why would I want Fortune Club status? If one Platinum Card or Gold Card member with real card of Elite card and flight itinerary or boarding pass for that day (flight itinerary must include: at least one flight segment operated by AS, and connecting to/from an HU-operated international flight within 24 hours of the AS segment, with at least one of the segments occurring on the current day; besides all flights should except charter and code-sharing flights) depart from Anchorage (ANC), Los Angeles (LAX), Portland (PDX) and Seattle (SEA), they each can enjoy Alaska Airlines’ Board Room service with at most one accompanying passenger. I mean, you also get enhanced points-earning, some better upgrade opportunities, waived award fees (which could definitely come in handy, since you’ll actually have a reasonable number of points), and some other perks. 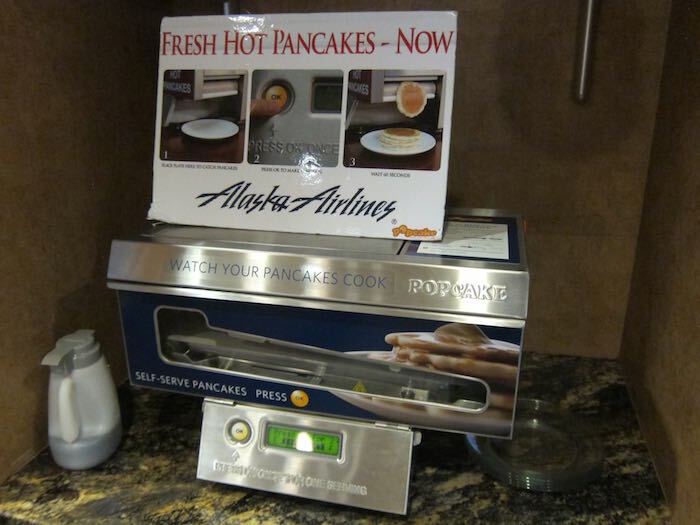 But with the Priority Pass crackdown in Seattle, how else are you going to get airport pancakes? 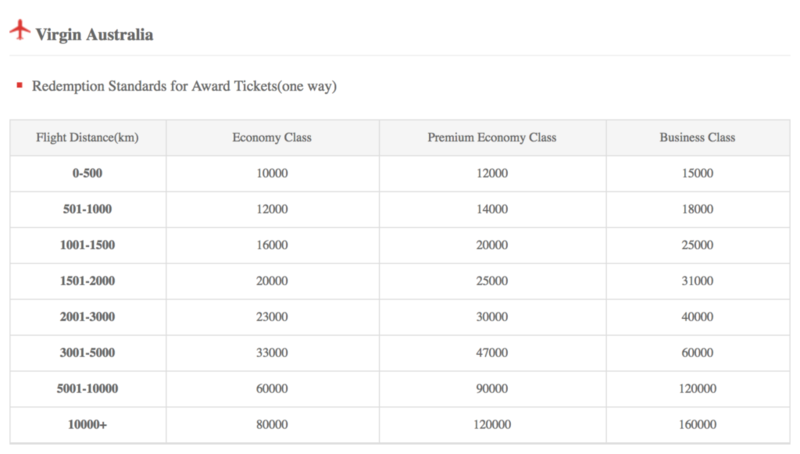 And Hainan has tremendous award availability, with very reasonable 50,000 mile business class awards to Asia if you’re using Alaska miles. I had originally missed that a Hainan flight had to be included on the ticket in order to have lounge access, which is too bad. I was really looking forward to explaining to my mother that she should show her Fortune Club card to get access to the Alaska lounge on a ticket paid for with Avios. Seriously, thank you to everyone who asked where to credit miles for this deal. My first instinct was that Fortune Club wasn’t going to have anything worthwhile, and it’s definitely not an insanely lucrative option, but it’s been a delightful few hours digging into a new program. I love doing this stuff, and have so little opportunity to do so these days — hopefully it’s fun learning for you too! How will you use your Fortune Club miles?